In a kerfuffle over courtesy cars? Peeved about how it’ll push up your premium? Don’t worry, there’s another way. Ask anyone who’s been in a road traffic accident and they could tell you a tale or two about the aftermath. Feelings of shock can swiftly turn to stress, especially when it comes to retrieving a replacement vehicle. What screams value more than watching a 1-litre, 3-door Daewoo roll into your drive? Well, when it’s trying to fill the space of your beloved BMW, it’s easy to feel short-changed. Unless otherwise stated, insurance providers will palm you off with the most basic of courtesy cars to keep their costs to a minimum. And aside from the bump your ego may take from this downgrade, with life’s everyday demands, it can be downright impractical too. You bought that 5-door for a reason. All this is exacerbated by the limited rental period imposed on these hire vehicles. According to a recent post most insurers are restricting their service to a maximum of 14-days. Hardly an ideal situation if your car turned out to be a write-off, you’d be in a spot of bother while waiting for your payout, and not everyone can fork out for a new car. Car insurance is costly, so it’s no surprise that more and more people have started to cut corners where possible. Whether it’s scrimping with the most basic insurance or scrapping your replacement hire services, nearly always, you’ll be sacrificing on quality. However, with modern day responsibilities, the truth is that you’re very likely going to need the help of four wheels. For people who don’t have any assured courtesy car, the hunt for your own hire vehicle can be hazardous at best. Of course many companies will offer decent prices, but you’re easy prey to being taken for a ride. And when you factor in the daily rate you’ll end up paying, the money-saving endeavour of passing on that courtesy car package will seem pretty pointless. Instead of buying courtesy car cover through your insurer, consider buying it as a stand-alone. We offer unlimited courtesy car hire after non-fault accidents for just £9.99 a year – that’s less than what it would cost you for just a day’s worth of hire. This rate is also well below the average charged by main insurers, and offers a superior like-for-like service, so no worries about swapping in your BMW for that little Daewoo. 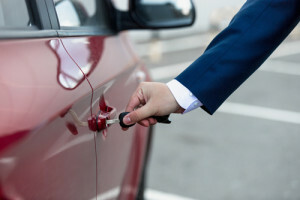 With the option to cover for fault, fire and theft too, these policies provide far more than just vehicle hire. They are in fact just a feature of motor legal cover, and for a great price you’ll get a whole host of extras, so it really does pay to be prudent. So what is motor legal protection? 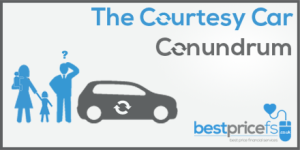 To learn more about courtesy car hire and the many other benefits it includes, visit our Motor Legal Protection page.